If you wake up before the sun is too high, you should definitely have your first cup of coffee on one of the town's magnificent terraces. Let us remind you that Opatija has the longest well-tended coastal promenade. The famous Lungomare promenade stretches 12 km along the coast and connects the coastal towns of Volosko, Opatija, Ičići Ika, and Lovran. If you are an art lover, Opatija is the right choice for you. The town prides itself in numerous sculptures on the streets and in the parks. The symbol of the town is the 'Girl with the seagull', a statue on a promontory that looks wistfully in the distance. It makes you think about the life story of this young girl. Another sculpture on the coastal promenade is the figure of Miroslav Krleža, a great 20th century Croatian writer. The sculpture of barkajol, a local boatman, reminds us of the period when Opatija's small harbour was full of life. It was the time when local boatmen offered visitors boat rides along the coast. The sculpture of the famous dancer Isadora Duncan is located in front of the Remisens Premium Villa Amalia. Here in Opatija she found inspiration for her dance movements. Opatija is regarded the cradle of Croatian tourism, which started back in 1844 with the construction of the Villa Angiolina. This property, a summer residence of the merchant from Rijeka Iginio Scarpa, was the forerunner of today's villas and hotels. 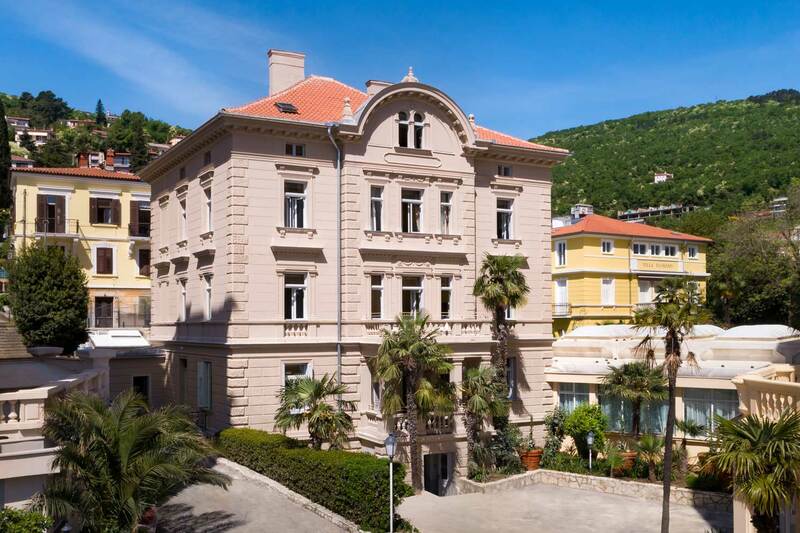 The mild Mediterranean climate, clean sea and rich cultural heritage were the factors that influenced the beginning of tourism and the construction of the first hotel on the Adriatic (1884), which is today known as the 4-star Remisens Premium Hotel Kvarner. Renowned restaurants with an original approach to Mediterranean cuisine will satisfy even the most demanding gourmets. The wide range of excellent specialities prepared with fresh ingredients guarantee a perfect culinary experience to guests who regularly visit Opatija or are here for the first time. Opatija is known for offering high-quality hotel accommodation, and the friendly and attentive staff will make sure you feel at home during your stay.